We spent a sunny and beautiful Sunday out in the apple orchards of Watsonville, Ca. The organic Clearview Orchards were hustling and bustling with both apple pickers and busy bees pollinating. While I have been berry picking several times, this was my first time going apple picking. It was on my autumn bucket list and I’m excited to mark it as complete. The apple picking season starts around mid September and goes until mid October. I highly advise checking the website of each orchard before you travel out to see when exactly they are opening for the season. Every year the crops vary slightly and sometimes they open early and close early. Most of the farms will stay open as long as possible but in some cases they run out of apples and need to close early. I suggest planning on going towards the beginning - mid season. In rare cases the crop is affected by environmental factors and they don’t open at all for the season. Be sure to bring cash, many of the farms don’t accept cards. If you are new to u-pick farms, you get to actually go out into the orchards and pick your own apples fresh from the tree. Different farms offer an array of apple varieties, each one perfect for different kinds of recipes. For example, if you plan on baking apple pie, brewing apple cider or even making apple butter, there’s a type of apple perfect for each one. I suggest doing a little research before selecting an apple picking location to find the right fit for you. Many of these farms also have other produce available for u-pick, so much fun for the family! If you’ve got small kiddos (or even adventurous adults, many of these spots have activities like wagon rides, pumpkin patches, and maybe even a corn maze. After a day of picking out on the farm, we came home with a big basket full of super sweet organic and imperfect apples. If you aren’t familiar with the imperfect food movement, many are embracing fresh fruits and vegetables in their more natural state. Some of my apples were shaped kinda wonky and others had scars and spots, but they are still just as delicious. No pesticides and GMOs are used on these fresh little beauties making them environmentally friendly. Whenever I go out into the countryside, I’m keeping my eye out for a country store filled will goodies from local farmers. 1. Clearview Orchards - Located at 646 Trabing Rd, Watsonville, CA 95076. This is where we went in the blog post photos, a great place for photography. Insider tip, they are only open on the weekend and it does get very busy. Opening hours are 10Am to 4PM, I suggest getting there right when it opens. At the farm stand they also sell locally made honey, fresh organic squash, fresh pressed organic apple juice, and dried lavender. They are famous for their fresh baked apple turnovers too! 2. 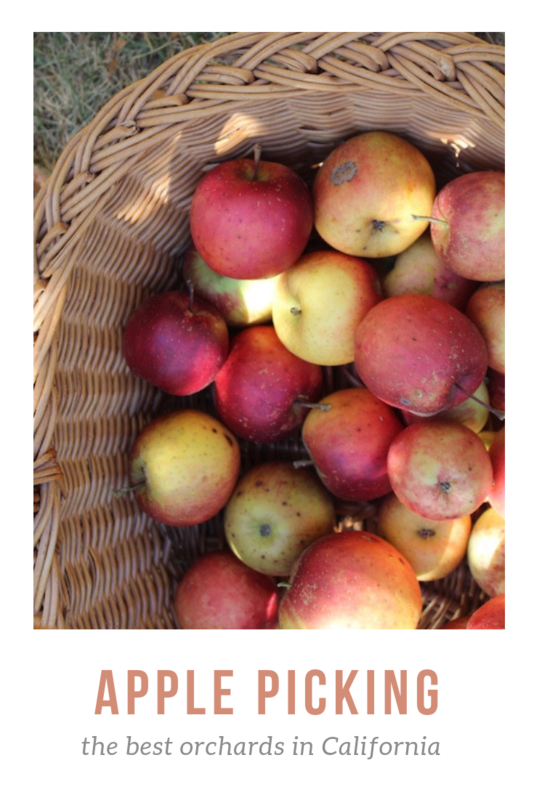 Swanton Pacific Ranch U-Pick Apples - Located at 473-475 Swanton Rd, Davenport, CA 95017. This orchard offers 16 varieties of apples, so there’s bound to be a favorite for everyone! They have apples that grow in early, mid and late season which gives you lots of options for selecting a picking date. 3. Hales Apple Farm - Located at 1526 Gravenstein Hwy N, Sebastopol, CA 95472. This farm is very photogenic and perfect Instagram and family photos. The red barn is so cute, there’s a vintage tractor and they have a variety of cute pumpkins and squash on display. The Pink Pearl Apples are popular, when you cut them open, the inside of the apple is pink! 4. Gabriel Farm - Located at 3175 Sullivan Rd, Sebastopol, CA 95472. The u-pick is part of a membership program which includes fun perks. For members this farm offers picnic tables under beautiful persimmon trees, and you can bring outside food for a picnic! Along with apples, throughout the year they also offer u-pick flowers, raspberries, blackberries, tomatoes, persimmons, pineapples, guavas and pumpkins. 5. Apple A Day - Located at 13128 Occidental Rd, Sebastopol, CA 95472. This orchard specializes in apples to make fresh cider and they have their famous brew for sale on location. This orchard grows the apple varieties of Gravenstein, Golden Delicious, and Rome. U-pick is offered starting in September until October. 6. Willowbrook Apple Farm - Located at 12099 Oak Glen Rd, Yucaipa, CA 92399. This orchard has something extra special, not only u-pick apples but also u-press apple cider! You get to head out and pick your apples, and then press them on-site into cider! So cool! They also have lot’s of farm animals that guests can visit, super fun for children. 7. See Canyon Fruit Ranch - Located at 2345 See Canyon Rd, San Luis Obispo, CA 93405. This farm has the most beautiful grounds, often used for wedding and special events. Picnics with outside food are allowed, and the farm store has produce and goods from local SLO merchants. In addition to apples, on the farm they produce their own honey from their hives, farm fresh eggs, pears, and apple cider. Open daily from September - November which is great for a weekday escape. 8. Gizdich Apple Picking - Located at 55 Peckham Rd. Watsonville CA 95076. Any pie lovers out there?! Gizdich is famous for their wide variety of homemade pies, known as the Eata Nita Pies. With over 17 flavors of pie plus an assortment of pastries, you’re sweet tooth will have a field day here! Some of my favorite pie flavors are Apple Olallie, Lemon Meringue, Apple Raspberry and Apricot. 9. Apple Hill - Located in Camino (an hour outside Sacramento), this collection of farms has multiple apple orchards where visitors can u-pick. Similar to the Napa Valley where there are large variety of vineyards, Apple Hill is filled with all kinds of things to do. In the spring/summer you can pick lavender, in the fall there’s many apple orchards and pumpkin patches, and during the holidays you can cut down your own fresh Christmas tree. Apple Hill is so official they have their own app you can download to plan your visit, complete with a list and map of all the farms you can visit. 10. Apple Starr Orchard - Located at 1020 Julian Orchard Drive, Julian, CA 92036. Many of the orchards listed above are in Northern California, but this one is a Southern California gem. Along with organic apples they have many organic pear varieties. They have several red wagons available for children (so cute for photos! ), and space available for picnics. Next on the list is eating all the apples! I am researching some fun apple recipes to start cooking them up. 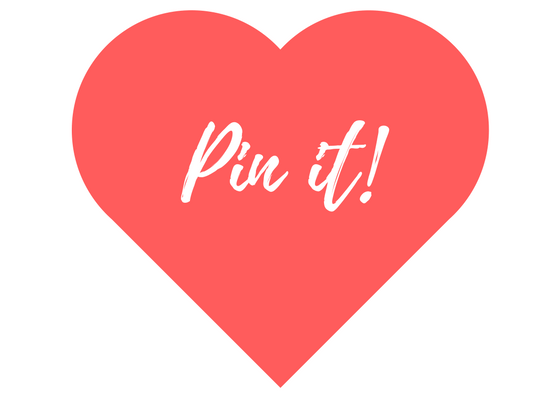 Check out my Pinterest board full of apple ideas! Update: The Clearview Orchards are open for u-pick apple season from September 16th - October 15th, 2018.